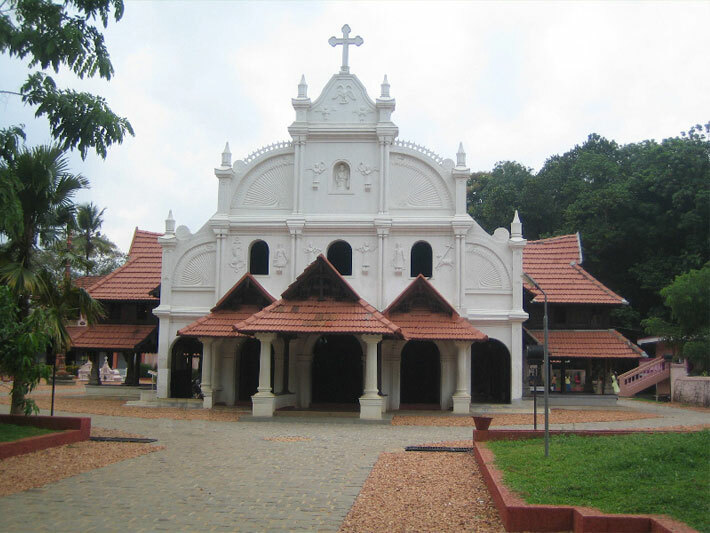 St. Mary’s Orthodox Church is located in Kallooppara in Pathanamthitta District. It is a very old church ans is one of the renowned churches in Kerala. It is considered as a priced possession of Malankara Sabha. This church is believed to be around 7 centuries old and has a rich cultural legacy. The architecture of the church is excellent and the roof tops are very beautifully laid which is an example of the early Travancore style. The origin of this church is still unknown and it is believed to be constructed in 2nd century. It is considered that the foundation stone of this church was laid in the Malayalam month Karkkidakam. This church is popularly called as the Pilgrim center of St. Mary. At present around 700 families are registered in this church with more than 1000 members. The church administration is carried out by a general body whose members are elected annually. The annual festival of this church is conducted during the 13th and 15th of January as it coincides with the birth celebrations of St Mary. Some other main festivals of this church are The Holy Mass, Holy Raasa etc. Besides, the Kallooppara Convention is also held during the festival.